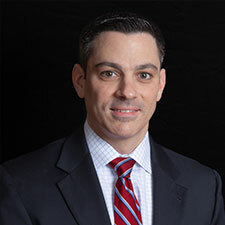 The Britt Law Group proudly announces the addition of attorney Scott A. Noto to our firm. Scott specializes in criminal defense, civil litigation and military and veterans Law. Scott received his Bachelor’s Degree from the University of Chicago in 2000 and his law degree from Loyola University Chicago School of Law in 2004. He was in private practice a number of years before he was commissioned into the United States Army Judge Advocate General’s Corps in 2009. He is also very active in his community, volunteering his time serving on the Kent County Community Corrections Advisory Board and the Board of Directors for Lori’s Voice, a non-profit organization dedicated to helping disabled children. He is also involved with the West Michigan Veterans Coalition and the American Legion. For more information about attorney Scott A. Noto at The Britt Law Group, please contact him here or call him directly at 616.866.2700.